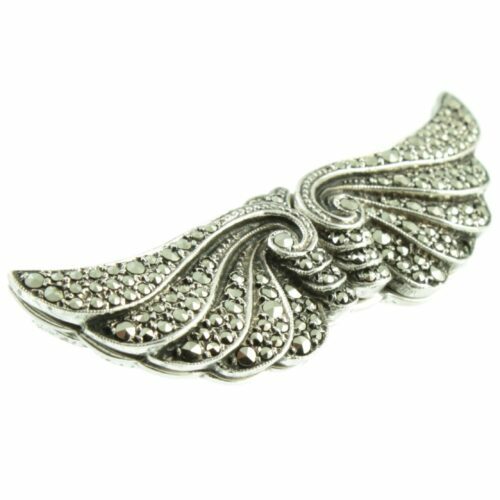 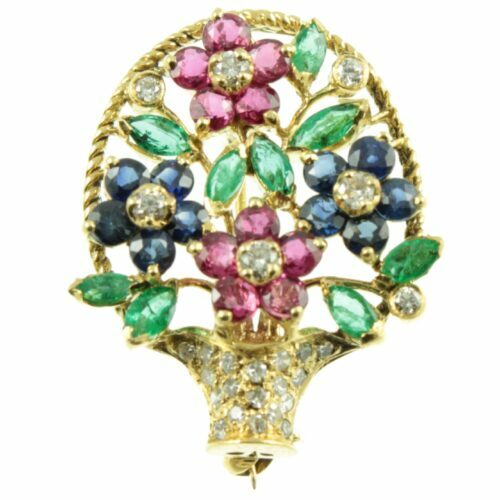 A unique and rare Art Deco Flower Brooch. 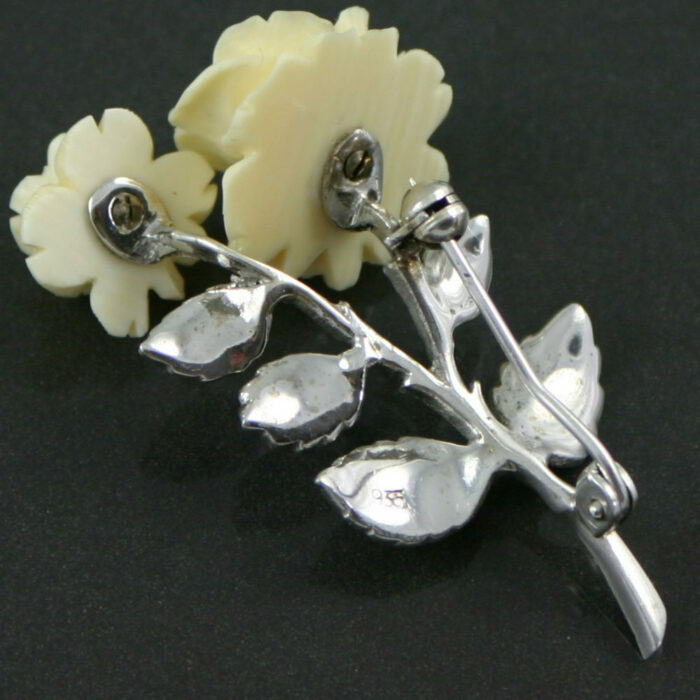 Two delicate and intricate roses have been hand carved from celluloid. 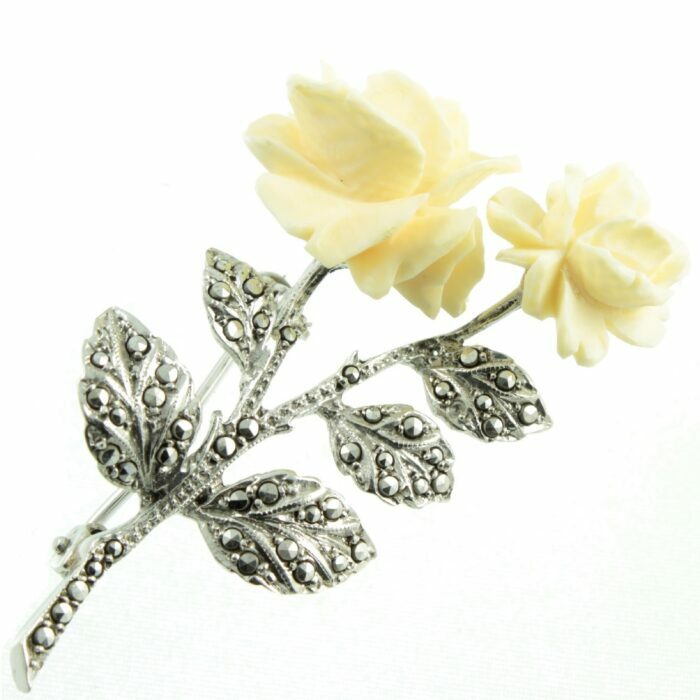 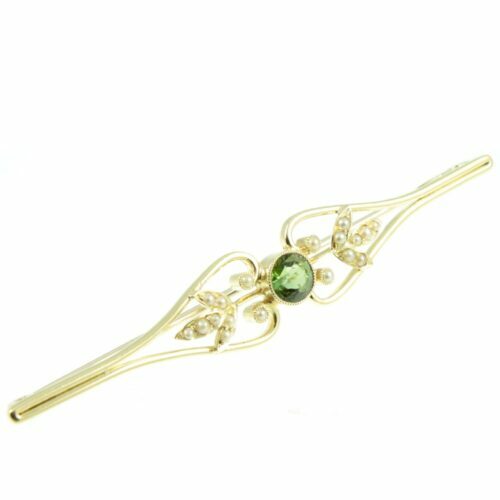 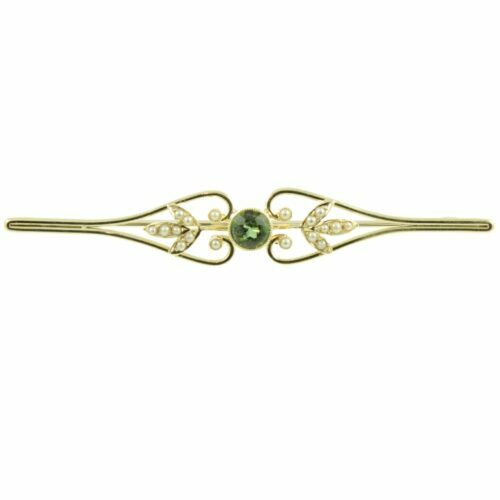 These pale yellow roses are fixed to a marcasite studded sterling silver stem. This brooch is Swiss made and stamped 935. 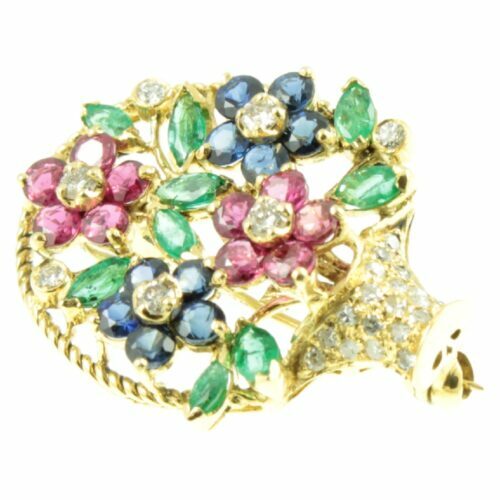 A beautiful piece which desires to be treasured. 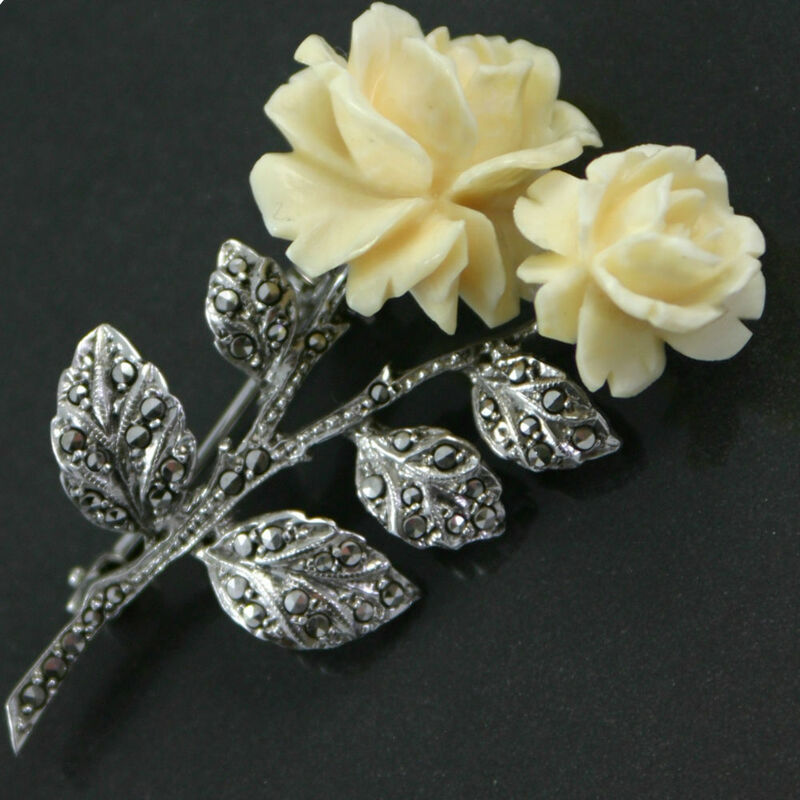 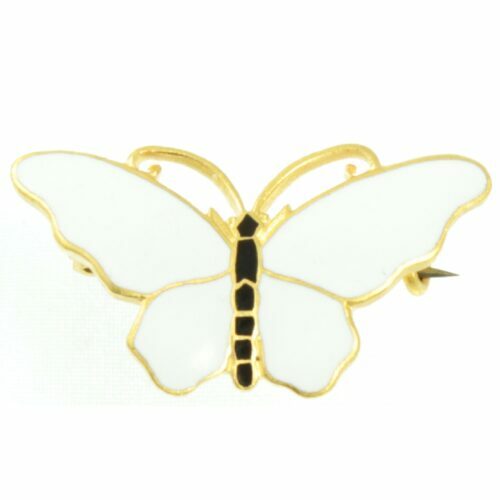 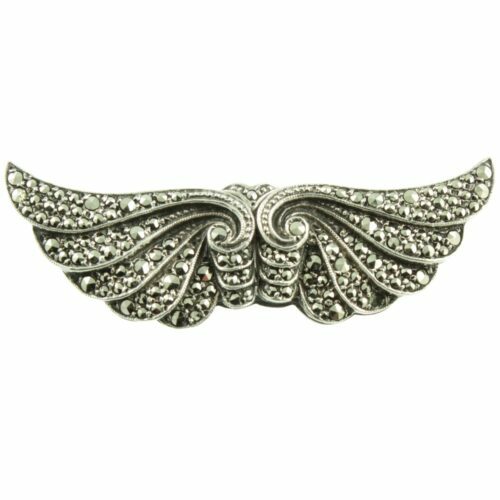 Size : 49mm x 28mm, weight : 8g.